Located just south of the Adler Planetarium and east of Soldier Field, Northerly Island is a 91-acre peninsula that juts into Lake Michigan in the heart of Chicago’s Museum Campus. Originally envisioned by architect Daniel Burnham, and a site of Chicago’s second World’s Fair in 1933-34, today Northerly Island’s beautiful strolling paths are lined with wild prairie grasses and have spectacular skyline views. The park is also home to some of the best fishing in Chicago! Northerly Island welcomes families year for special events and activities. On July 24, families can head to Northerly Island at dusk to see the Academy Award winning movie Hugo for free as part of the popular Movies in the Parks series. On August 18, kids and their parents can learn about the phases of the moon and look at planets, star clusters and more at a free Stargazing event. Overnight camping stays for families are also offered in the park, but pre-registration is required. Free self-guided discovery tour information can be obtained from staff whenever the park’s field house is open. Staff are also on hand to answer any questions about the park’s features. Situated on the northern end of the island is Charter One Pavilion, a 7,500 seat state-of-the-art outdoor concert venue, which hosts concerts from some of today’s most popular artists along with family matinee events. Visit Chicago’s Northerly Island daily. In the summer, the park’s fieldhouse is also open daily, from 9am to 5pm. 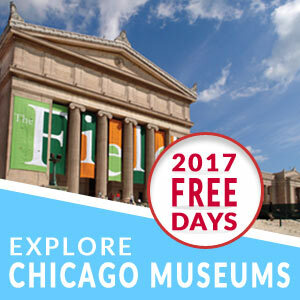 For more information, visit the Chicago Park District’s website. For further information on the Charter One Pavilion or for ticket information, click here.